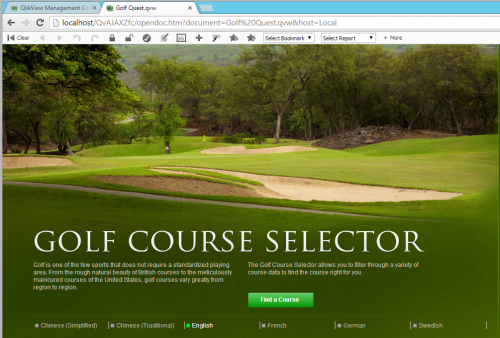 How-to: QlikView in the Cloud! CloudShare’s virtualization platform makes it easy to quickly and cost-effectively stand up key resources for any size QlikView deployment whether it be a single server for quick dev/test initiatives or multiple servers to explore an end-to-end enterprise topology. 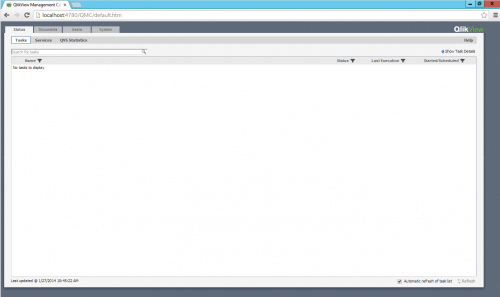 In this post, we’re going to look at creating a development environment on the CloudShare virtualization platform in order to jump-start a QlikView project. 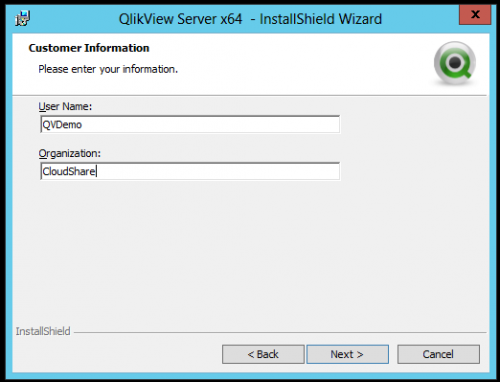 To install QlikView server in a CloudShare virtual machine we must first provision the environment from the CloudShare web portal. Here we can name our new environment and add a single virtual machine to the environment. For our single server, we’ll choose “Windows Server 2012 x64 Standard” template and give it a name and description. Next, we need to increase the resources that this server utilizes in order to meet the minimum required resource for a QlikView server. 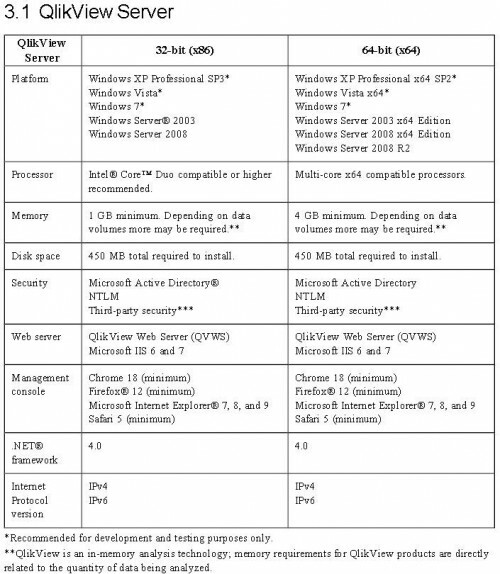 Per the initial release manual for QlikView Server 11, we will require the following hardware specification to support a development or testing environment. However, in order to achieve better performance more resources may be required if your QlikView documents are of any significant size. Being able to easily and reactively adjust environment resources is one of the key benefits of deploying QlikView to CloudShare’s virtualization platform. To increase the resources for our QlikView Server we’ll edit the environment and edit the hardware for our virtual machine. Once completed we’ll save changes which causes the VM to reboot. To connect to the new VM we can either use a RDP connection from your machine or connect to the server via the RDP connection from the CloudShare web portal. A simple way to retrieve an RDP file to connect from a local client is to download the file directly from the web portal by clicking “RDP file”. 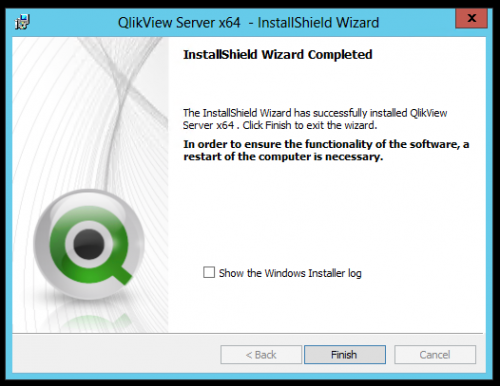 After our VM is provisioned and the appropriate resources have been allocated we can start the QlikView server installation. 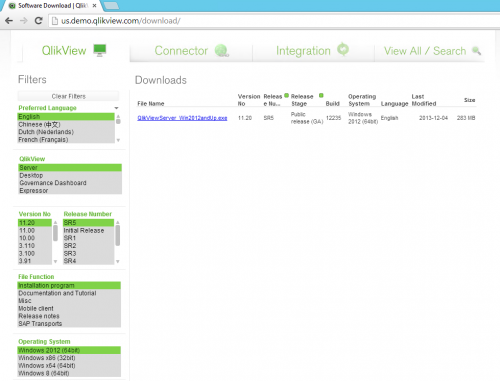 We can download all components from QlikView’s download page ( http://us.demo.qlikview.com/download/ ). From the download page, we can select the preferred language, product, version, release number, file type, and OS to download the correct file. 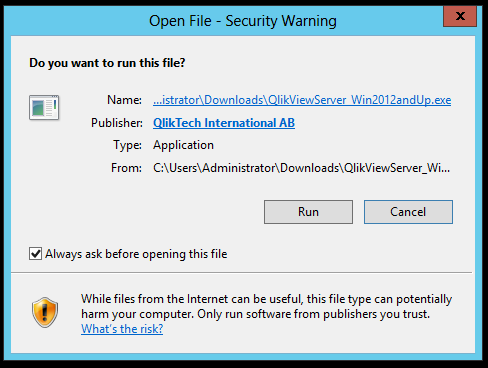 Click “QlikViewServer_Win2012andUp.exe” to download the file and run when complete. 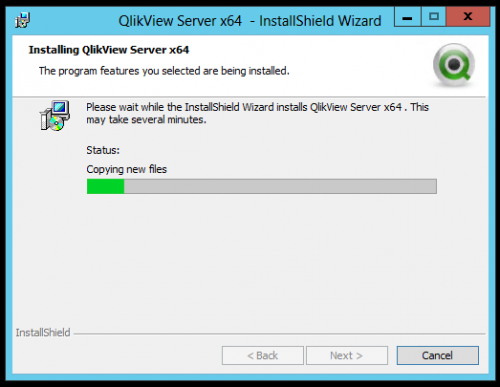 Note: In the event that you get an error after running the installer that says “the operating system is not adequate for running QlikView server” make sure that you have downloaded the correct version of the installer. 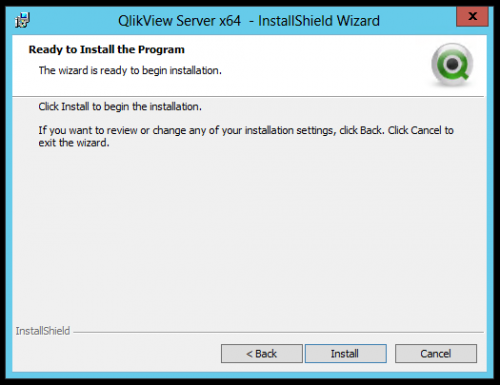 Select “Full Installation, Single machine with QlikView Webserver”. QlikView services can be scaled out to multiple machines to separate workloads or support redundancy and clustering. 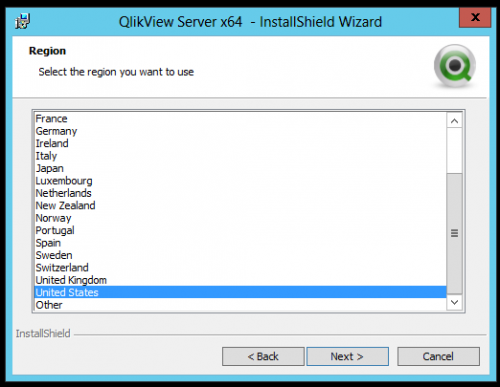 In this environment we will use the QlikView Webserver that ships with the product, however you can use Microsoft Internet Information Services (IIS). 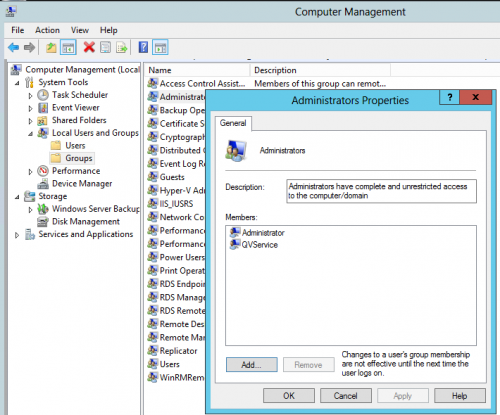 Using IIS will give you more control over the web front end configuration. 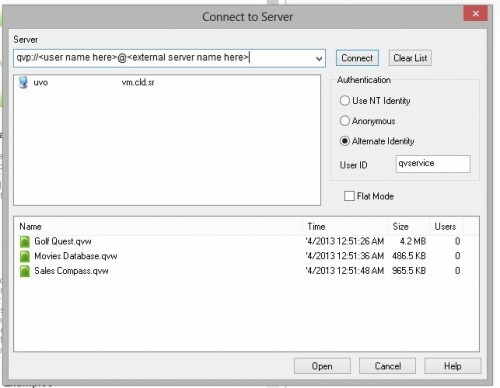 Enter a User Name and Password that will be assigned to run the QlikView services. At this point, we don’t have a user to assign as the service account so we will quickly create one. Opening the Computer Management Console, select “Local Users and Groups”, and create a new user. In our case we will call the user “QVService”, assign the user a strong password, and set the password to never expire. Next, we will as the QVService user to the local administrators group on the server. On the Service Authentication screen, we will select “Use QlikView Administrators Group” and click “Next”. 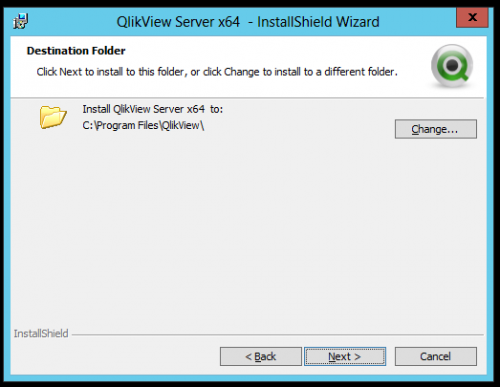 To verify that the install was successful and that all services have been started navigation to the Services console and find the QlikView services. All services should be running under our new service account. From the Start menu two new applications will be available: QlikView Access Point and QlikView Management Console. Once QlikView server is installed and all services are up and running we need to access the Management Console to finish the QlikView configuration. QlikView’s Management Console is exactly what it sounds like, the console from which you manage or administer QlikView Server. Our first step is to configure our QlikView license in Management Console. 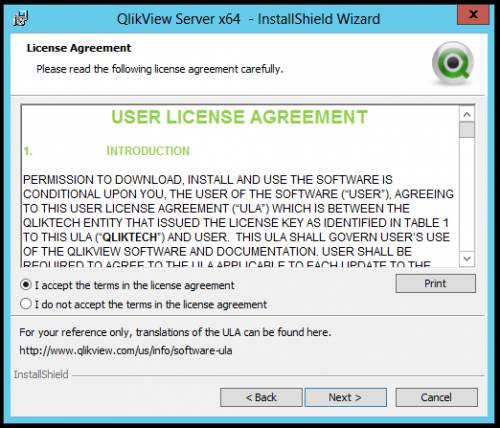 From the home page click the System tab -> Licenses -> QlikView Server -> QlikView Server License. On this page we will enter our serial number, control number, a user name, organization, and click “Apply License”. Once the license has been applied successfully navigate back to the Status tab -> Services and validate that all services are running and healthy. Congratulations! You’ve just installed QlikView server. Make sure to take a snapshot of your CloudShare environment to preserve your work! Access Point is QlikView’s web portal for displaying and interacting with your QlikView documents via the browser. 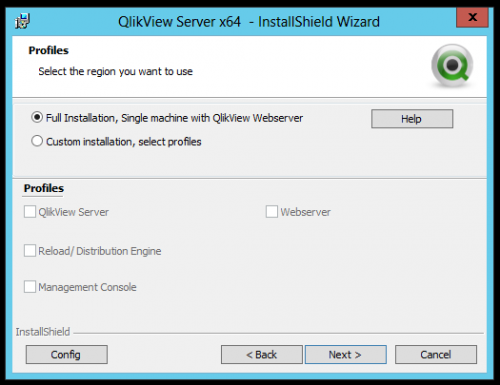 To view Access Point you can click the QlikView Access Point link off of the Start menu or open a browser and navigate to http://localhost/qlikview/. 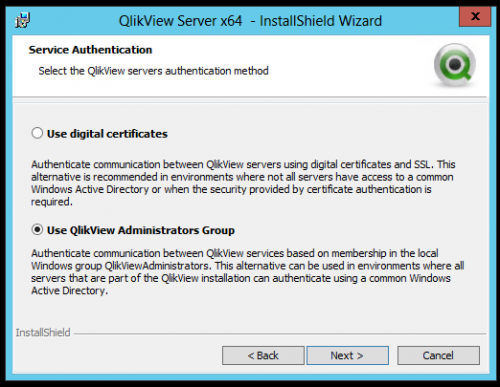 You can also use your CloudShare VM’s external address http://[externalAddress]/qlikview/ to access the environment remotely. 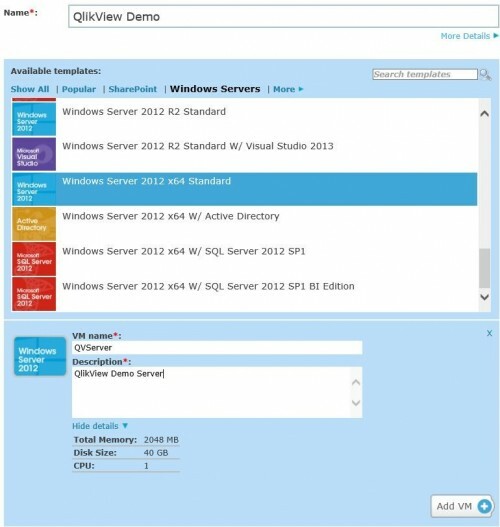 Upon logging in you should see the three default QlikView documents installed with the server. 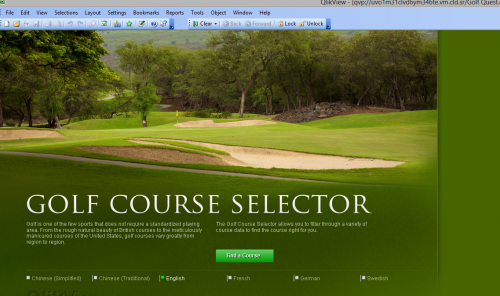 Select a document to view it in the browser. 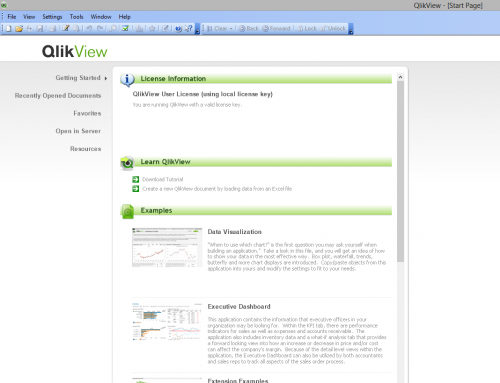 QlikView Desktop is the design and development suite for creating data models and dashboard apps for QlikView. 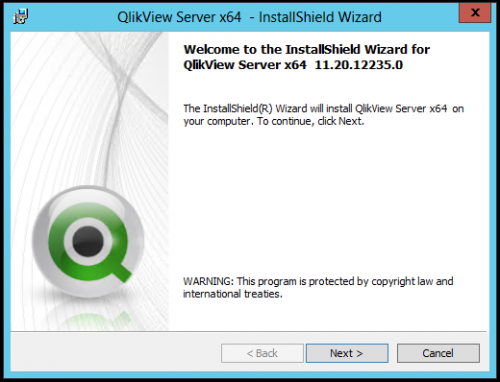 In our previous steps we installed our QlikView server. With QlikView Desktop we can now connect to the server and open our existing documents. From our local machine, we open QlikView Desktop. Select “File” -> “Open in Server”. Here we are prompted with the “Connect to Server” window. 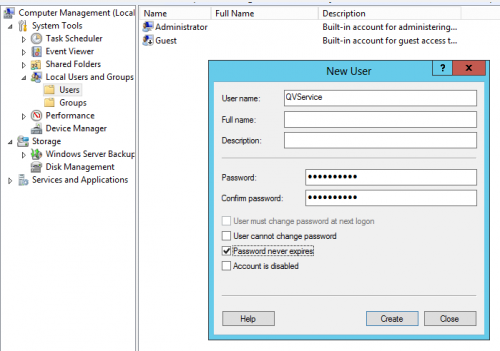 Enter your CloudShare VM’s external address and the account you would like to connect with. In our case, we’ll connect as the QVService account for simplicity and click “Connect”. Upon a successful connection, the three default QlikView documents will display. Select a document and click “Open”. The document will open in QlikView Desktop. Congratulations! 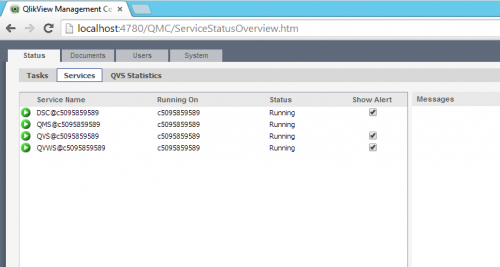 You are connected to your CloudShare QlikView Server! Within a short period of time, we have created a QlikView server in a simple CloudShare environment and are up and running, ready to build our next QlikView project!